Anonymous, which briefly knocked the FBI and Justice Department websites offline in retaliation for the US shutdown of file-sharing site Megaupload, is a shadowy group of international hackers with no central hierarchy. The temporary disabling of the US government websites is the latest exploit by the loose-knit hacker activists, or "hacktivists," who have taken credit for scores of online attacks over the past few years. The attacks range from the nuisance-like -- the FBI and Justice Department websites were back up within a few hours -- to the truly damaging involving the loss of data and the exposure of private financial information. According to computer security researchers, Anonymous does not have a central authority but operates with a "hive mind mentality," agreeing on targets in discussions in Internet chat rooms and striking simultaneously. Anonymous, on @anonops, one of the various Twitter accounts used by the group, claimed that Thursday's attacks on the Justice Department and FBI websites were their largest ever, involving over 5,600 people. The distributed denial of service (DDoS) attacks were similar to those staged by Anonymous in late 2010 on the Amazon, Visa, MasterCard and PayPal websites in retaliation for their decisions to stop working with WikiLeaks. The defense of WikiLeaks by Anonymous was an extension of "Operation Payback," a movement which began on the Internet messageboard 4Chan in September 2010. Operation Payback involved cyber attacks on the websites of the Motion Picture Association of America (MPAA), Recording Industry Association of America (RIAA) and others over their vigorous copyright protection efforts. 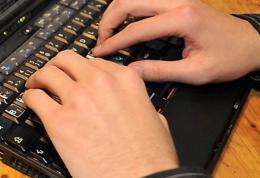 "Operation Payback stands for free speech and no censorship," an Anonymous member told AFP in an online chat at the time. The RIAA and MPAA websites were also targeted by Anonymous on Thursday in retaliation for the US government shutdown of Megaupload.com, which the US authorities accused of massive copyright infringement. Beyond DDoS attacks, Anonymous has also taken credit for numerous other hacks, most recently the theft of emails and credit card information for subscribers to US intelligence analysis firm Stratfor. Anonymous said the Stratfor hack was in retaliation for the prosecution of Bradley Manning, the US Army private accused of leaking more than 700,000 US documents to WikiLeaks in one of the most serious intelligence breaches in US history. A number of Anonymous members have been arrested in Britain and the United States, but law enforcement authorities have emphasized that it is difficult to trace savvy computer users who know how to hide their tracks. In September, the FBI arrested a member of the Anonymous-affiliated Lulz Security in connection with a crippling cyberattack on Japanese electronic giant Sony's online operations. Sony's PlayStation Network, Qriocity music streaming service and Sony Online Entertainment were targeted by hackers beginning in April of last year. Over 100 million accounts were affected and it took Sony months to completely restore its online services. The Sony hacks were both claimed and denied by Anonymous -- a not infrequent occurrence with a group that does not speak with a single voice.